With nearly 30 years from vine to glass, this is a wine that shows the ageing potential of well-kept wines from exceptional vintages. Simply, this was as good as you’d expect an ’82 first growth to be – lashings of sweet tannin, incredibly pure flavours of cedar, blackcurrant, roasted meat and a cooked red fruit touch. So, so young and juicy, it doesn’t seem possible. Will this wine ever die? 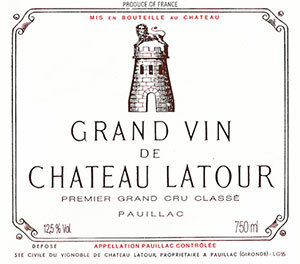 Always somewhat atypical (which I suspect will be the case with the more modern day 2003), the 1982 Latour has been the most opulent, flamboyant, and precocious of the northern Medocs, especially the St.-Juliens, Pauillacs, and St.-Estephes. It hasn’t changed much over the last 10-15 years, revealing sweet tannins as well as extraordinarily decadent, even extravagant levels of fruit, glycerin, and body. It is an amazing wine, and on several occasions, I have actually picked it as a right bank Pomerol because of the lushness and succulence of the cedary, blackberry, black currant fruit. This vintage has always tasted great, even in its youth, and revealed a precociousness that one does not associate with this Chateau. However, the 1982 is still evolving at a glacial pace. The concentration remains remarkable, and the wine is a full-bodied, exuberant, rich, classic Pauillac in its aromatic and flavor profiles. It’s just juiced up (similar to an athlete on steroids) and is all the better for it. This remarkable effort will last as long as the 1982 Mouton, but it has always been more approachable and decadently fruity. Drink it now, in 20 years, and in 50 years! Don’t miss it if you are a wine lover.